Candy makes a lot of people feel good and make people feel happy, so many people think that candy has many benefits, and sweets can enhance people’s intelligence. Candy and other sweets seem to have an irresistible appeal to children. And love for sweets is almost the nature of every child. The taste of candy can sometimes not be resisted by adults. 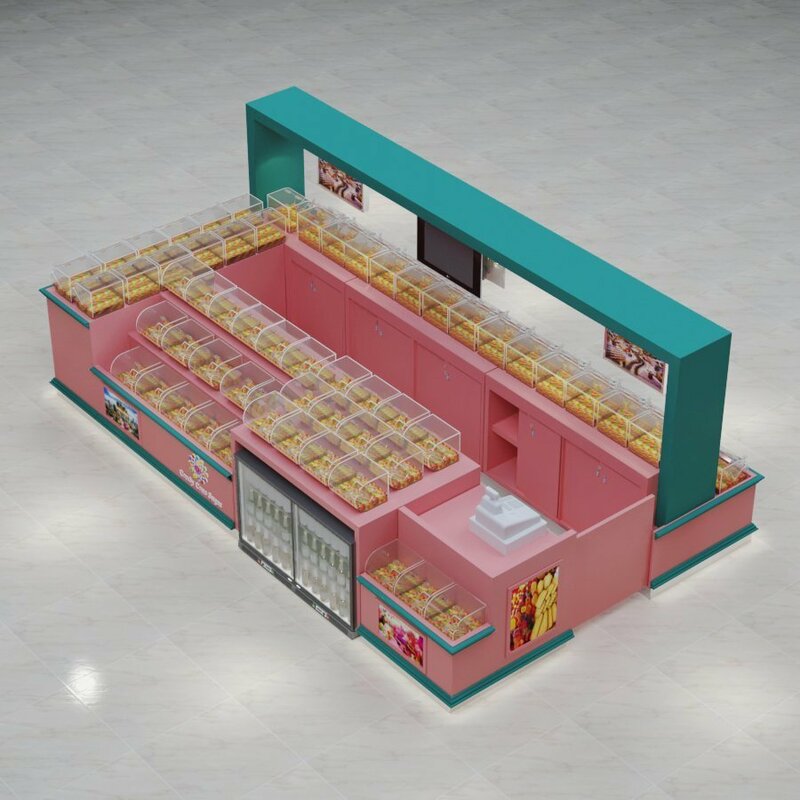 So I think to open a candy kiosk in the shopping mall is a good choice for you to start a business. When people walk around the shopping mall, some children and their parents. When the child sees the candy, they will ask their parents to buy the candy. Open a candy in the mall don’t need much money, you should rent a place in the shopping mall. 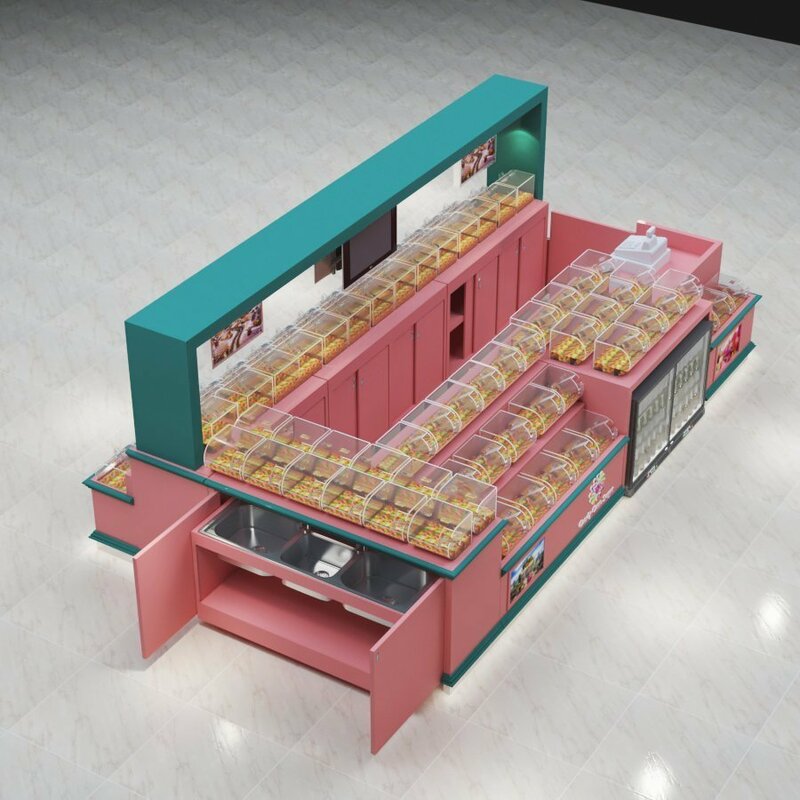 And you will need to customize a candy kiosk to display the candy. Surface finished: pink and blue baking paint. Others: TV screen, Acrylic luminous logo, lighted box, candy box and so on. 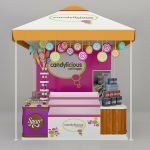 How to order from us for the candy kiosk? Firstly, you should pay the 300$ design deposit for the candy kiosk. Secondly, tell us your requirements, our designer will make the 3 D design drawing to you. Thirdly, please check and let me know any changes. Our designer revises the design. Lastly, confirm the design. Then we can start production. 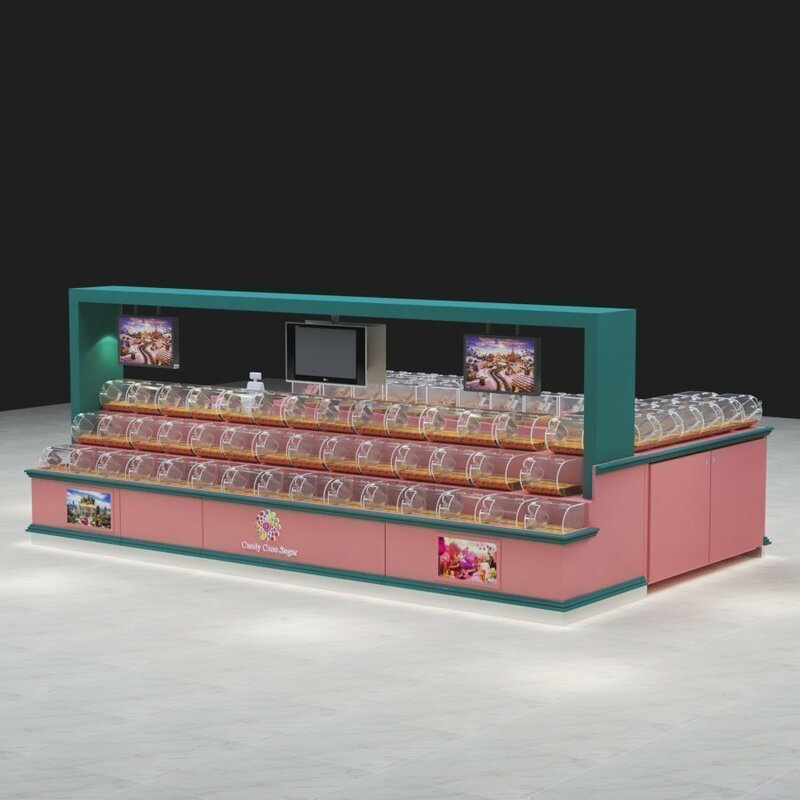 Shenzhen Unique Furniture Ltd is the kiosk manufacturer for more than ten years. 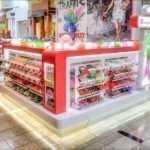 If you want to start a candy kiosk in the shopping mall, please feel free to contact us on Email: sales08@uniquekiosk.com. Thanks for your time to read. Have a nice day!! !